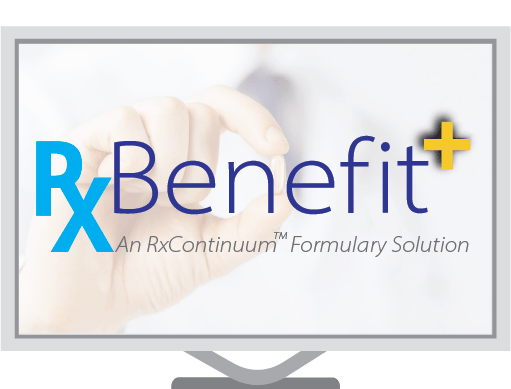 With RxBenefit+, you can easily manage formulary modules such as; preferred alternatives, exclusion lists and financial parameters, POS coverage edits and administration types (open, incentive, closed) with any appropriate formulary file. RxBenefit+ allows you to ensure compliance with CMS guidelines and standards for file submission and website publishing. Additionally, RxBenefit+ provides robust reporting capabilities, tracking all formulary file changes and configuration updates. 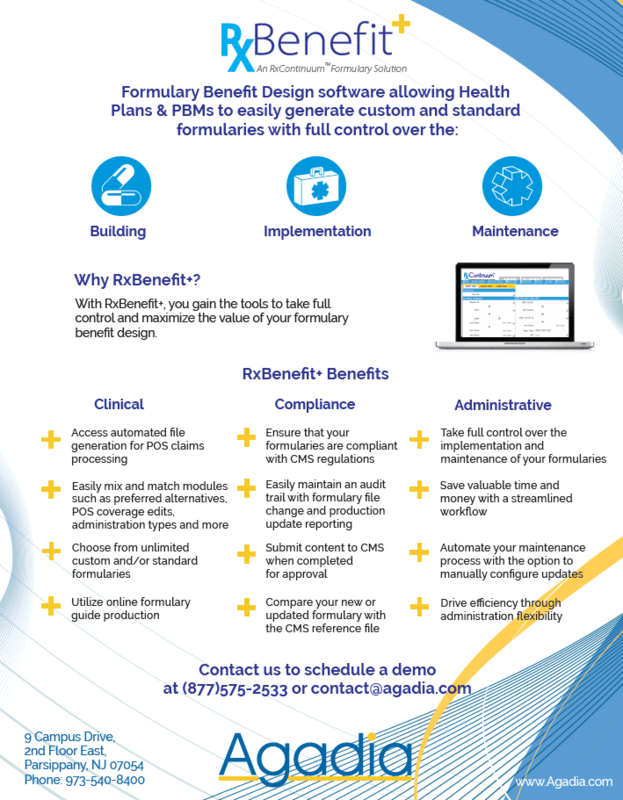 With the use of the CMS Formulary Reference File, Health Plans and PBMs are able to build a new Medicare Formulary, update an existing one or compare changes to ensure compliance. Once a formulary is completed, clients also have the capability to submit content to CMS for approval. © 2018 Agadia Systems, Inc. All Rights Reserved. © 2019 Agadia Systems, Inc. All Rights Reserved.